Boo! It's already October! If that spooks you, I'm right there with you! Planning ahead is my way to get through the upcoming holi-daze. Halloween is the holiday that ushers in the season. I love all the fun costumes, crazy masks and creative makeup. But why should the creativity stop there? 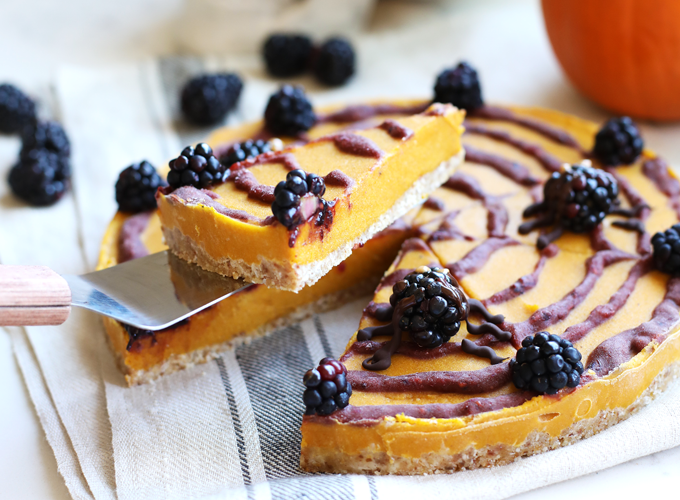 When it comes to the 'treats' in trick or treat, let's think outside the candy box. These are a few kid-friendly berry recipes that my little one and I are going to have fun with this Halloween. I feel great about serving these healthy options and I love showing Piper that treats don't always have to mean candy. First on my list are these quick and easy Scary Berry Stuffed Jack O' Lantern. 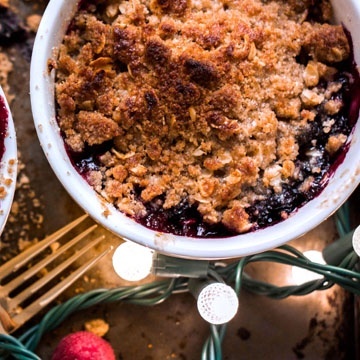 In this recipes, blackberries and blueberries get a zesty taste when they are stuffed in a Jack O'Lantern decorated orange. I plan to prep the oranges in advance by cutting of the top of each orange and carefully scooping out the insides. And because of the blackberries and oranges, these Jack O'Lanterns also are right on theme with their black and orange colors! 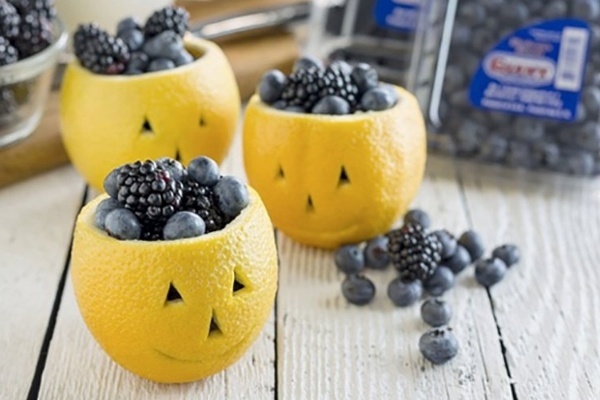 To make this recipe even more kid-friendly, your kiddos can use black markers to draw their unique Jack O'Lantern faces on the oranges. The best part is that you will get to make this fun memory together while eating a food that you know is good for them. Before a night of trick-or-treating around our neighborhood, you'll want to make sure your kids get a fun snack in their system. 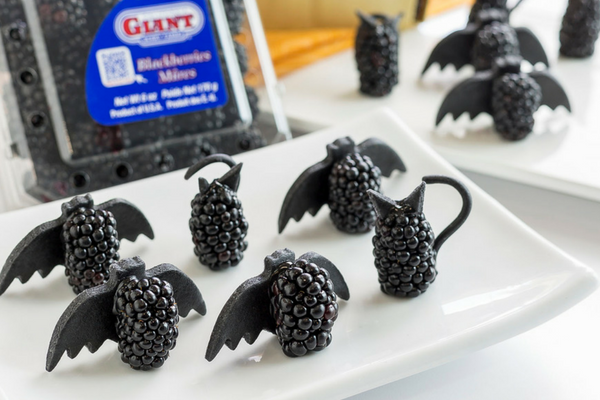 These Berry Yogurt Cones are sure to keep them full and energized for a spooky night! It's also great because they can leave the house with them in hand. 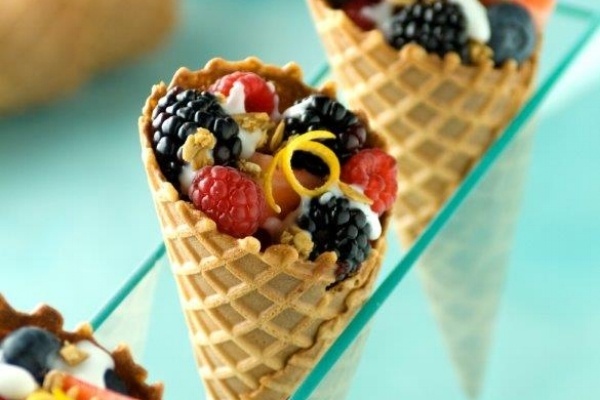 These yogurt cones are healthy, easy AND portable. They are perfect pre-trick-or-treat snack! Scary Berry Cats and Bats are on my list to create with my little one as well! Another great tip to consider, set out a bowl of berries by your bowl of Halloween candy. This is a simple way to show that healthy options are just as easy to enjoy as sugary ones. This Halloween, have no fear! You can prepare in advance and have a howling good time while doing it! 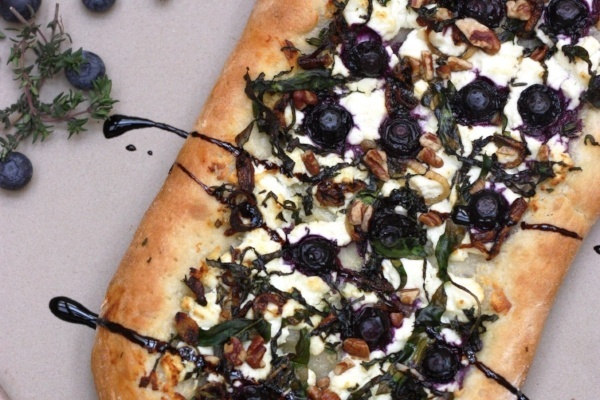 If you are looking for more inspiration for fall prep, subscribe to The Buzz Blog. It's full of recipes the whole family will enjoy!